Like the advent of most technologies, the introduction of text message marketing into business has brought new legal risks. The fitness industry has recently seen high-profile franchises hit with class-action lawsuits centering around the use of text message communication. In particular, former members claiming they were improperly contacted via text message long after canceling memberships. 1.) It works! 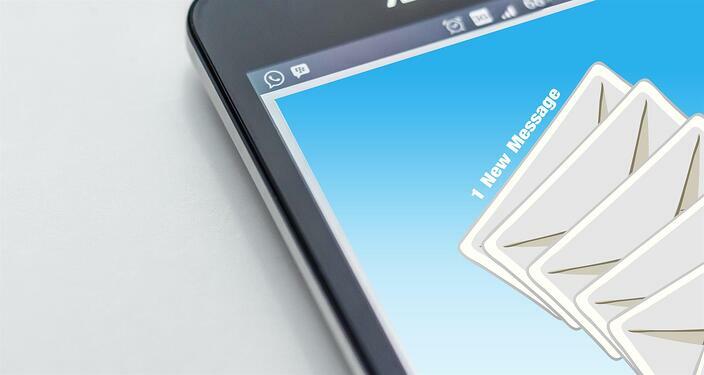 Text communication receives an incredible 98% open rate compared to 22% for email marketing. 2.) By and large, customers prefer text communication. A 2016 Twilio study found 9 out of 10 customers globally want to use text for communication with businesses. This accounts for text communications widespread use for everything from flight updates to dentist appointment confirmations. If you opted to ban the use of text message marketing from your gym or studio, you would lose a host of benefits for your business and your customers. The prudent play is to put into place tools designed to mitigate your legal risk. To this end, Club OS designed its text message campaigns feature to safeguard your prospect and member’s privacy and empower your team to use text communication responsibly. The simplest strategy to protect your business? Giving each prospect the opportunity to provide a clear yes or no to text communication. Club OS works with our gym and studio clients to include communication preference sections on new lead entry forms and digital guest waivers. Prospects are required to indicate if they would like to be opt in or opt out of SMS communication when their profile is created in the software. This selection is saved and easily pulled from your records if needed. Due to the popularity of text communication, you can still reasonably expect high numbers of prospects to voluntarily elect to receive SMS messages from your club. User profiles in Club OS have their access levels and functionality granted or restricted based on permission settings. Control over prospect and member communication preferences can be restricted to as few or as many users as your club needs. This enables you to ensure only club staff who clearly understand communication compliance can update a prospect or members text communication selection and prevents potential irresponsible communication practices. Prospects and members can update their communication preferences quickly and easily through text communication. 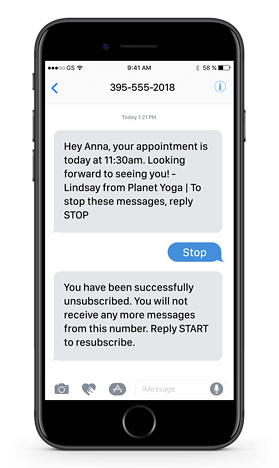 The first text message a prospect or member receives automatically informs them that they can opt out of text communication by replying STOP at any time. If a STOP reply is received, Club OS will automatically update the prospect or member’s profile communication preferences to avoid any further text communications from being sent. If the user changes their mind, they can resume text communications by replying START. One potential danger is the inability of clubs to collect a comprehensive record of text communication sent by staff to prospects and members. This is compounded when team members use personal devices to communicate via text with their clients and leads. Club OS text functionality is run completely through the software with staff members sending and receiving text on their user profiles. This keeps all sent and received messages on record and easily sourced should a prospect or member claim they received text communication without their permission. Text communication is a highly effective and efficient marketing tool. It can bring big advantages to your business, and often is the perfect way to bridge the communication gap with your prospects and members. You can’t afford to forgo this valuable marketing tool altogether. Instead, safeguard your communication practices with Club OS text message campaigns feature. Learn more about how Club OS empowers users to leverage text communication responsibly in their business. Book your fifteen-minute demo now or contact your Club OS representative!